The World Health Organization defined substance abuse as “the harmful or hazardous use of psychoactive substances, including alcohol and illicit drugs”. 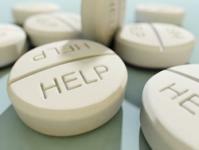 Substance abuse touches millions of people worldwide each year. It is estimated that about 76.3 million people struggle with alcohol use disorders contributing to 1.8 million deaths per year. As is the case with some global issues, substance abuse is unequally represented– the developing world, marginalized groups and communities being the most vulnerable to this reality. For example, in North America, Indigenous communities are particularly vulnerable to drug and alcohol addictions. The United Nations reported that around 185 million people globally over the age of 15 were consuming drugs by the end of the 20th century. The most commonly mentioned drugs were marijuana, cocaine, alcohol, Amphetamine-type stimulants (ATS), opiates and volatile solvents. Many people use drugs as an escape from their reality. Drug abuse does not necessarily correlate to how wealthy or poor one is. Some may argue that wealthier individuals can "afford" to buy more drugs than someone living in poverty who might resort to abusing less expensive addictive substances such as in the case of sniffing glue to alter one’s physical and mental state. Hence, different circumstances may have led them to the same end - substance abuse. It is important to note that substance abuse is a problem that affects us all differently but that holds the same consequences of harm, withdrawal from the community, and even death for all the lives it touches. Substance abuse has been an ongoing issue for the world’s Indigenous peoples. It is a social and health issue for Indigenous communities worldwide, and has been the focus of many studies. Some have pointed out that the high rates of substance abuse among Indigenous people are due to factors such as colonization, and takeover of their lands. One source however points out that drugs and alcohol were prominent in these communities worldwide, prior to colonization. However, the communities were very tight knit, with tough regulations on who could “use” substances of any kind. It is possible that colonization could have changed the levels of social cohesion imposed upon Indigenous communities. With new cultural groups taking over the lands, some argued that this destroyed many families bonds, and due to the extreme changes in everyday life, Indigenous people felt lost and turned to drugs and alcohol. The perpetual use of drugs in Indigenous communities has been linked to feelings of despair from the days of colonization, the breakdown of their social values, family bonds and the inability for Indigenous to rightly claim what was once theirs. Like many people who cannot afford “expensive” drugs such as cocaine and marijuana,many youth in some Indigenous communities are using solvents for intoxication, such as sniffing gasoline. The effects of this have led to family and community breakdowns and continues to be a prominent struggles in many Indigenous communities. However tragic and common the stories of substance abuse are, there is always an inspiring story to be told. Forty-one year old David Parnell is an Indigenous man, living in Canada who has a story to tell. David began using drugs (marijuana initially) at the young age of 13. He quickly moved on to “harder” drugs such as methamphetamine. For 23 years, Parnell says that drugs were the focus of his life. After years of misery, he tried to take his own life, unsuccessfully, which left his face severely disfigured. After this incident, he vowed to change his life. At present, David takes his story on the road, traveling around North America primarily speaking to youth (both Indigenous and non-Indigenous) about the dangers of substance abuse. He brings hope to those who are trapped in the cycle of drug use and shows the dangers of drug abuse to those who haven’t yet explored it. Substance abuse has also been a prominent issue in the world of sports and it is commonly referred to as "doping". The World Anti Doping Agency (WADA) was created in 1999 as a collective international effort to "promote, coordinate, and monitor the fight against doping in sport in all its forms" (http://www.wada-ama.org). Fair play and good health is the main goal of advocates for a drug abuse free world. What will you do to create change on this issue? "Now that you're inspired to lead others on this global issue click on the web links below to learn more about how you can get involved with this issue." "The Global Youth Network is a youth network, in association with the United Nations, that allows youth to get informed on issues of drug abuse, connect to other organizations, and take action. Join the World Anti Doping Agency in the global effort to monitor and promote anti-doping in all sports worldwide. So how are you going to share this global issue with others? Educate others on the issues and challenges surrounding substance abuse. Inform your community on how to identify someone who may be abusing drugs while sharing some helpful tips on how to live healthy without drugs. Join an organization (online or offline) that involves youth in issues regarding substance abuse and create change on this issue locally. This is just the beginning, there is a world of opportunities for you to plan and get moving on. So what are you waiting for and get started today! Remember, learning about a new global issue is only the first step to developing the skills you need to have a lasting impact. So let the rest of TIG know what kind of change you want to see with the issue of substance abuse by joining us in one of our online discussions described below. How could you help someone who doesn’t believe they have a substance abuse problem? What do you think about casual drug use? Do you think it is the same thing as substance abuse? Have you ever been offered to use an addictive substance? Click on the following links to find out more about substance abuse worldwide. You can find charts, graphs, statistics and more! Drugs of Abuse Information. Web Address: http://www.drugabuse.gov/drugpages.html. Indigenous peoples and substance abuse. ATS = Amphetamine-type stimulants (ATS) refer to a group of drugs whose principal members include amphetamine and methamphetamine. However, a range of other substances also fall into this group, such as methcathinone, fenetylline, ephedrine, pseudoephedrine, methylphenidate and MDMA or ‘Ecstasy’ – an amphetamine-type derivative with hallucinogenic properties. Smoking, sniffing and inhaling are the most popular methods of ATS use, but ways to take the drug vary widely across the region. Cocaine = a bitter, crystalline alkaloid, obtained from coca leaves, used as a local anesthetic and also widely used as an illicit drug for its stimulant and euphorigenic properties. Cocaine dependence has become a substantial public health problem, resulting in a significant number of medical, psychological and social problems, including the spread of infectious diseases (e.g. AIDS, hepatitis and tuberculosis), crime, violence and neonatal drug exposure. Marijuana = Cannabis is a generic term used to denote the several psychoactive preparations of the plant Cannabis sativa. Cannabis is by far the most widely cultivated, trafficked and abused illicit drug. Half of all drug seizures worldwide are cannabis seizures. Opiates = Heroin use has become increasingly common in North America and Europe since the 1960s. Since heroin is commonly used by injecting, the health risks including that of HIV and hepatitis transmission are substantial. Globally, it is estimated that 13.5 million people take opioids, including 9.2 million who use heroin. However, in many countries (notably those from Europe), the majority of heavy drug users seeking treatment are primarily addicted to opiates. Psychoactive = of or pertaining to a substance having a profound or significant effect on mental processes: a psychoactive drug. Substance Abuse = Substance abuse refers to the harmful or hazardous use of psychoactive substances, including alcohol and illicit drugs. Volatile Solvents = Many volatile substances, if inhaled in sufficient quantity, produce effects similar to those of central nervous system depressants such as ethanol and barbiturates. Their abuse potential is directly related to their ability to produce intoxication and repeated abuse may result in psychological dependence or other harmful health effects. Most societies utilize products which contain substantial amounts of volatile organic solvents. Common household products which often contain organic solvents include cleaning and polishing fluids, contact adhesives, and paint and nail-polish removers. Have something more to add to what we’ve discussed above, then check out this global issue’s wiki page to have your say!